We service Redding, Anderson, Cottonwood, Red Bluff, Chico, Paradise, and the surrounding areas. How often should I change or wash my filter ? You should change or wash your filters every 30 days. This will help to maintain efficiencies in between tune-ups. Should I close off any supply air vents in my home? NO—it does not help or save you money. In fact, it could cost you more than you know. Premature heat chamber failure can occur in the winter if you close off air vents and overheat the system. In the summer, freezing can occur at the indoor coil, causing early compressor failure. The system is designed to breathe—taking air in and pushing air out. Obviously, all of us have a different tolerance to hot and cold. To maximize efficiency with your system, set the temperature at 68 degrees in the heating season and at 78 degrees in the cooling season. 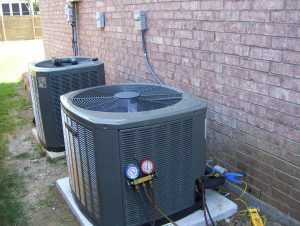 Should my heating and cooling system be maintained? How often? Yes, you should maintain your system every six months. Every manufacturer recommends that the system be tuned up every six months to maximize efficiency and extend the life of the system. On extended warranties, this is required.